Whether you are researching the perfect solutions for staff or customer parking, it is essential to get your car park management system right first time. For peace of mind, the system adds security, safety and can add an effective revenue stream to your business or facility. The most efficient way to control parking is by using Pay and Display. Readily accepted by users, it simplifies parking, clarifies the cost and is, by far, the most financially viable. All parts of the necessary equipment must be robust and hard wearing; designed for longevity of life. It should also be a system that can be flexible enough to allow for free parking of staff if necessary. There are also many optional features, such as credit card and banknote acceptors. Pay and display parking is a highly efficient and reliable way to facilitate easy and practical parking solutions. 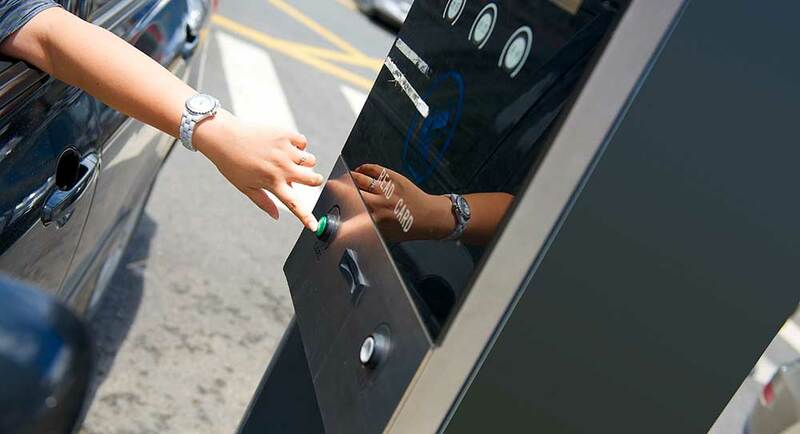 As most car parks are now unmanned, the choice of parking display machine is very important. The type of traffic passing through and the length of stays are relevant to that decision. As many company’s like to individualise the screens, the sophisticated APTM Payment Station is a great choice. It offers many tailor made functions and has the flexibility to suit all requirements. The terminal needs to have the flexibility to adapt to the needs of each individual car park. They should also have easy to read displays and a simple method for inserting tickets, thus avoiding queues and delays. An essential part of every enclosed car park, the barrier not only permits entry and exit,but can also work together with an integrated parking system. The AZN Automatic Barrier is an excellent choice. The AZN Barrier is ideal for most car parks, including multi-storeys, supermarkets, hotels and sports centres, providing the ability to both control and monitor movement, thus helping to increase security. As every business has different obligations, it is important that any car park management system is flexible and adaptable to suit individual requirements. It is vital that the system is purchased from a company, that not only supplies and installs, but also offers advice on all aspects and provides backup support and maintenance throughout its lifetime. A state of the art system not only helps to reduce installation costs, but can be designed to accommodate a business as it grows. A regular service contract ensures that it works efficiently day after day. Utilising the latest software, whilst also taking advantage of up to date hardware, will provide a system that controls many aspects of parking as well as ticketing services and barriers. Current internet services can be integrated into the system, giving full control and automation together with a cost effectiveness second to none. Choose a company that works together with not just private operators, such as large and small businesses, but also local authorities, as this ensures that only the very best car park management system available will be installed.